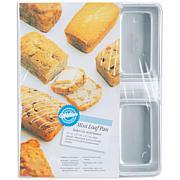 WILTON-This premium nonstick cooling grid combines superior nonstick performance and serving convenience, which provides the highest level of baking satisfaction. Heavy duty steel construction prevents warping. Size: 14-1/2x20. Dishwasher safe. Measurements: Approx. 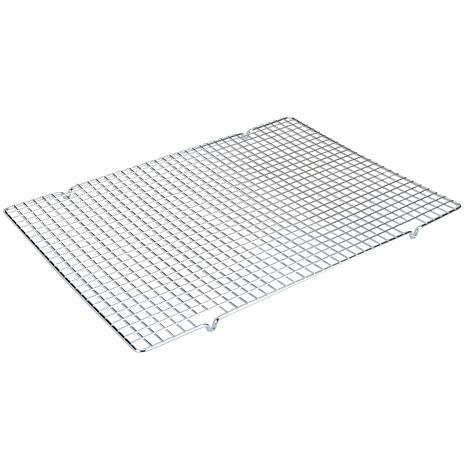 14-1/2" x 20"
This cooling rack is fabulous! Extremely large it holds almost 2 dozen cookies. 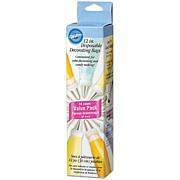 Washes easily either by hand on in the dishwasher. Have used it 4 times before reviewing and can state that I would definitely buy this again, and may indeed get another! 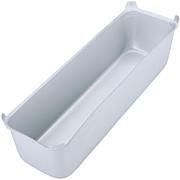 These are a nice size, bought 2 and they will cover the island area nicely for cooling baked goods. Good price, and will probably keep in mind for gifts since the granddaughters are starting to do baking. When i received my cooling rack,I used it right away and it worked out great. My cake cooled completely in much less time. I should have ordered this much sooner. Great results. Happy customer. This cooling rack is literally huge! Even though I read the description I was still surprised when I received it. Seems well made, light weight and did I mention HUGE? In the past year, I've been doing a lot more baking than ever before, but didn't realize how important a cooking rack was until now.It is a wonderful addition to the rest of my newly purchased baking products, and I will be ordering another one very soon.